One of his most popular orchestral works of all, Mahler’s sunny, Symphony No. 3 was named the “10th Greatest Symphony of All Time” in a poll of professional conductors for BBC Music Magazine. A lover of nature, Mahler spent his summers in the countryside outside of Salzburg. He composed his Third Symphony in a tiny shed, specially built, at the edge of a meadow, on the shore of a lake, with a view of the mountains beyond. 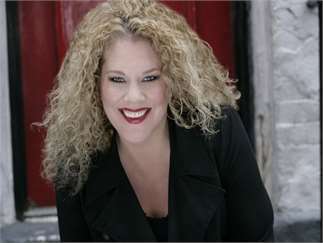 Grammy Award-winning mezzo soprano Michelle DeYoung, who was born in Grand Rapids, returns home as vocal soloist in the work featuring a slow movement that was arranged for a smaller orchestra and performed in New York City in 2011 on the 10th anniversary of 9/11. 8 p.m. Friday and Saturday, April 12-13, in DeVos Performance Hall, 303 Monroe Ave. NW. Tickets start at $18 adults, $5 students.